Graduated Waterfall Necklace in 14K Two Tone Gold . 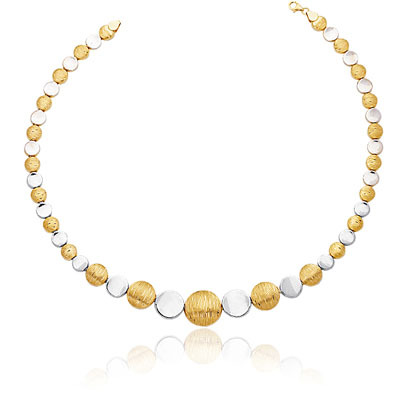 This glamorous Two Tone Gold Graduated Waterfall Necklace is designed in 14K White and Yellow Gold. The necklace comes finished with a 17-inch 14K Two Tone Gold Chain. Spice-up your style with this chic necklace.